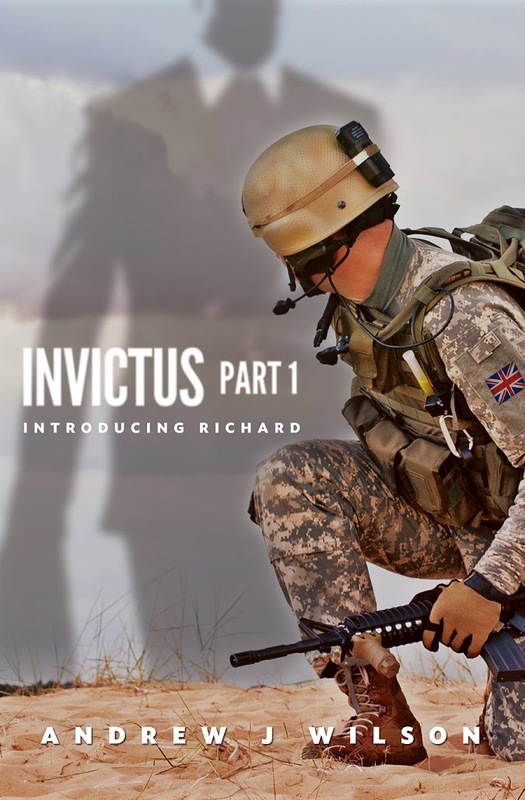 I am really excited that INVICTUS Part 1 is finally ready for Amazon release. There's been a few delay's, last minute changes and, of course, those subtle frilly bits that no one really notices, but some would soon sing out if they weren't there. It's all done, dusted and ready - Sunday, January 18th here we come. Many times I have mentioned just how invaluable Judi (proofreadNZ and Santel e-publishing) has been, and continues to be, to my adventures as an author, and that stands as true today as it did nearly four years ago when I started on this journey. But my decision to launch INVICTUS as a 'loss leader' has brought a raised eyebrow from my friend, it goes against certain principles. I'm not arguing that! I believe that my story's are worth fair recompense, not because of the financial investment I have made in them, but because of the time and effort it takes to get an idea out of my head, onto paper and ultimately into the public domain as a professionally edited and presented, good quality publication. Firstly, I love the graphics, it gives a strong indication of the genre, it draws the eye and has enough in it to give any would-be readers eyes a veritable treat, lots to see. I also love the title, INVICTUS, it stands out visually but it also has a real punch about it. The Part 1 is a secondary piece of information - it tells the would be reader that there is more to this story, don't expect a quick tidy, no lose ends tale. Underneath, in really small font, is the Introducing Richard sub, sub-title. Should it be bigger? Some may say definitely yes, but I don't see why. The cover art grabs the eyes, the title does the rest, by the time a person sees 'Introducing Richard' they've already decided to buy it so that bit is kind of like the cherry on the top. And somewhere down the bottom is my name. Maybe, in the future if/when I am lucky enough to have a few more readers it might be more appropriate to have it emblazed across the cover, but I just don't see any value in it being done that way right now. Currently I have two other publications available on Amazon (Russian Redemption and Fated Encounters), neither doing particularly well but that doesn't matter, so I have decided to try and use INVICTUS as a way of getting noticed. My other two books are priced far more appropriately however, given the choice between Book 1 (by a famous author) and Book 2 (by an unknown Indie Author) which one is the great public going to pick, and perceive as 'value': It will be the first one in most cases. INVICTUS will go on sale at under a dollar, it's not a case of devaluing my work, it is a case of introducing myself to a fan base that I haven't met yet. It's an experiment and we will see if it works out how I hope - I will of course report back on here over the coming months. I've also taken a similar tact with Fated Encounters - I've changed the cover. As a thumbnail, both the title and my name are pretty much lost - I get that. But I'm relying on the striking graphics to raise the curiosity of the person that is scanning the thumbnails. Getting that first click of the mouse is the hardest because there are pages and pages of thumbnail pictures. So, I'm lumping my egg's into the basket of visual attraction/curiosity. Once they click on the image they will see the title clearly, and my name, and they are already one click closer to a purchase. My thought process is that if I do the same as every one else then I can't be surprised that the results are the same - ergo, if I want better results I have to be, well... different. I may be wrong, but if I don't try I'll never know - that's part of the magic of being an Indie Author, the freedom to experiment.